John DeNardo challenged a number of writers to think about the speculative fiction they return to again and again. My response is bellow. I would love to see a similar challenge for the nonSF books that Sf writers are influenced by, that would be fascinating. Also, I seem to have declared the death of Science Fiction in my choices. A position I stand by. I certainly have books that I come back to time and time again. As a reader these are the books that I love. As a writer they are the core influences that inspire my own work. And as a critic they are the touchstones that I measure new work in the genre against. Some are single books, others runs of work that represent the best of a particular author. I suspect that many of these books come from the Golden Age of SF, IE my late teens and early twenties. That seems to be the age when the ideas of SF have the most impact. But I am still finding books that leave me staggered and awestruck, but more and more it seems to come from outside SFF. Neuromancer – William Gibson’s work is engraved in to the deepest parts of my subconscious. This and his short fiction are still books I refer to constantly, because Gibson is as good a structural writer as he is a futurist. What strikes me now about this work are its mythic elements, prototypical Joseph Campbell monomyth through and through. On top of his other achievements, Gibson was perhaps the first writer to signify the collapse of science fiction, and the rise of fantasy as the mode of serious discussion in speculative fiction. The Sandman – not a book, but nonetheless Neil Gaiman‘s magnum opus, is arguably the most important work of speculative fiction of the last quarter of the 20th century. I might write an essay on how Neil Gaiman killed Science Fiction. But not here. 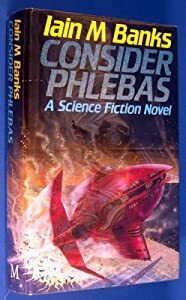 Iain M Banks culture novels from Consider Phlebas to Look to Windward – I might jokingly suggest that Iain M Banks titles two of these books with quotes from T S Elliot’s The Wasteland because that was the state of space opera and nearly all American SF at the time. A desolate, moribund wasteland of ill considered, poorly written libertarian posturing. Banks re-imagined space opera as a vehicle for intelligent, liberal discourse on the nature of utopia, while at the same time bringing a level of literary quality that still eludes all but a very few writers in genre. One Hundred Years of Solitude – if there exists a platonic ideal of what speculative fiction could be, Gabriel Garcia Marquez‘ masterpiece of magical realism is it. Combining the traditions of Western realism, and indigenous South American magical narratives, the book does not so much create a fantasy world, as demonstrate how our own world is permeated with the magical and fantastic just beyond the reach of the rational / scientific worldview. Earthsea – OK. Neil Gaiman did not kill science fiction. He just finished off the twitching remains left behind by Ursula Le Guin. If parents realised the potent mix of post-modern and Taoist philosophy Le Guin is smuggling in to the minds of little children, it’s quite possible these book would be banned in numerous states of America. I could go on, but that is enough from me for now. “Consider Phlebas” sits front and centre of my re-read shelf too. It’s the book that restored my faith in SF after a bout of post-teenage disillusionment. The other Culture novels, not so much. The other novel guaranteed to seduce me time and again is John Crowley’s “Little, Big”, that sly display of literary sleight of hand (it’s a book about magic and fairies in which – I do believe – the words “magic” and “fairy” aren’t uttered once). That book has been on my ‘to read’ list for far to long. I need a copy immidiately! Buy, read, try to work out how Mr Crowley wrote so achingly about magic without mentioning it. Although I think the later Gibson is better, the sky the colour of a TV tuned to a dead channel still gets me, but quite as much as Consider Phlebas, which how I want all my games of Traveller to go. Early Gibson still blows me away at its best. The opening of Count Zero is probably the best SF prose ever written. And Hinterlands is still my favourite SF short story.